Data centre technology enables stable and secure connectivity at speeds faster than the blink of an eye. And as those benefits become increasingly apparent, the JSE is seeing a growing demand for colocation space at its own state-of-the-art facility. ‘We’re continuing to see strong demand – both locally and internationally – from clients who want to connect to Africa’s largest exchange, due to our extremely competitive pricing, premium services and robust offering,’ says Merlin Rajah, Senior Technical Account Manager: Equities and Equity Derivatives, JSE Capital Markets. He explains that as several new clients have come aboard this year, they’ve provided global access to the JSE from their numerous points of presence around the world. ‘Having companies like Pico and Options IT coming into the JSE allows for their existing client bases to connect to our exchange, as well as allowing other international clients the choice of a known and trusted partner in providing low-latency connectivity or hosting solutions,’ he says. This growth has enabled the teams at the JSE’s colocation centre to invest in improving and expanding their offering. 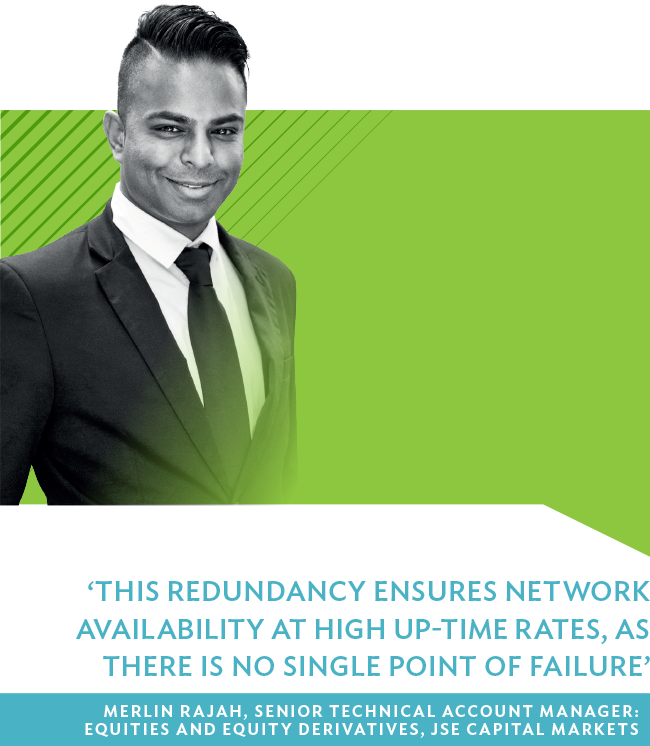 ‘We have built a further 10 colocation host units this year – bringing our total to 45 – and rolled out additional network infrastructure to assist in providing optimal services to our clients,’ according to Rajah. 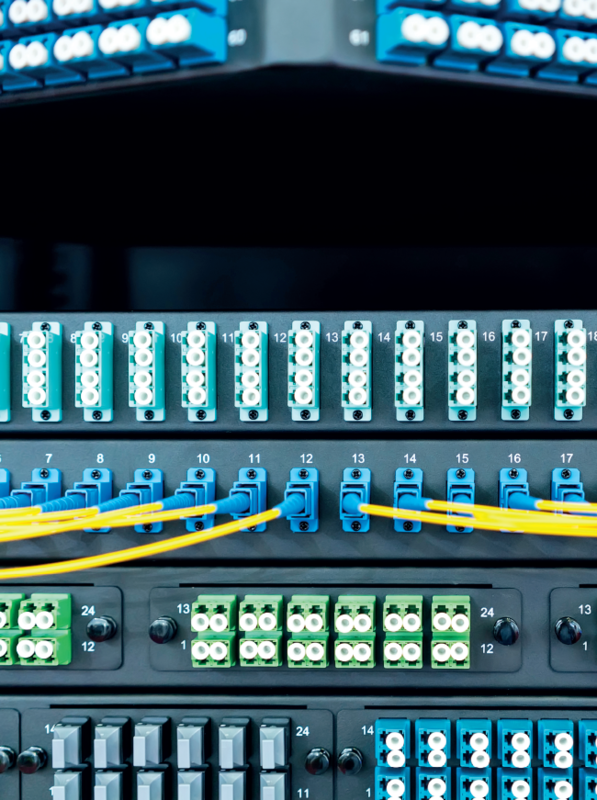 ‘Colocation also reduces the bandwidth requirements between our client’s offices and the JSE, as the servers located in our data centre will consume the large amounts of trading and information data via 10 GB cross-connects. Therefore the bandwidth required to remotely manage these servers will be much lower,’ he says. ‘And it reduces the stress of dual power, UPS and generators as all of the infrastructure management is handled by the JSE.’ Added to that, clients enjoy 24/7 remote, hands-on assistance, as well as scalability on demand. The JSE also offers a Precision Time Protocol service to its clients in colocation, which allows them to synchronise their time to the exchange’s systems. This service is operationally critical in the financial trading sector for successful market making and liquidity-providing firms. The success of the JSE’s colocation data centre can be attributed to a number of key teams, which continue to make the client experience a pleasant one, having developed a unique set of niche skills over the years. ‘We have a strong data centre team that ensures we provide our clients with exceptional service whenever they enter or require changes in our facility. Our client services centre technical team ensures our clients have a smooth technical onboard experience and quick turnaround times in their queries. In addition, our networks technical team is globally comparable to other exchanges in terms of skillsets and knowledge. We therefore have an abundance of understanding and foresight in this field,’ he says. The JSE’s next goal is to complete a market-enhancement project that will see the JSE implementing world-class, multi-product solutions to augment its present trading. ‘The platform we currently use for our equity market is proven to be the best in the world,’ says Rajah.